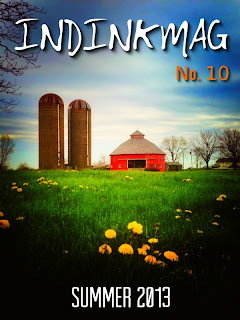 The new issue of Independent Ink contains my story 'Render Unto Caesar.' It's about money and religion (in case you couldn't tell from the title). It'll probably lead to me getting excommunicated, not to mention a few awkward glances at family reunions. Hope ya'll like it! You can either get a subscription ($2/month) or pick up Issue #10 on its own for $13. If you read it, drop me a line here and let me know what you think. If I've ever written anything with the intention of stirring up dialogue, it's this one.